KitMonsters – Marshall 1960AV Cab. The music makers’ guide to making music. 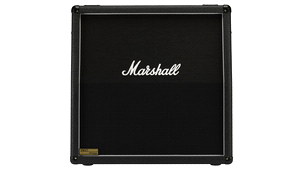 The Marshall 1960AV is a 300W 4x12 cabinet that can be switched between Mono and Stereo. The speakers are designed so you can hone your tone to match your amp, and it works well with rack systems. The G12 “Vintage” flavour 70W speakers give an extra warm sound.